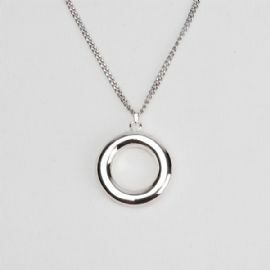 The Circle cremation jewelry necklace is a sterling silver charm which includes a 22" rhodium-plated stainless steel chain. 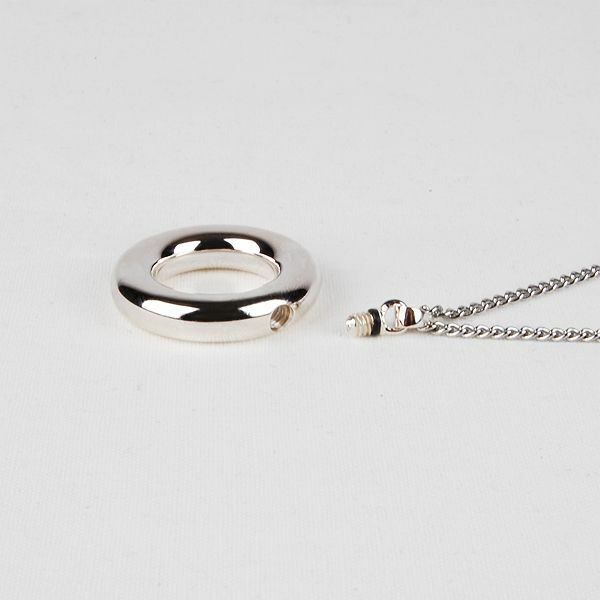 Cremation jewelry ash pendant necklaces are designed to hold a small portion of ashes or cremated remains, a small lock of hair, dried flowers, or earth from a special location. 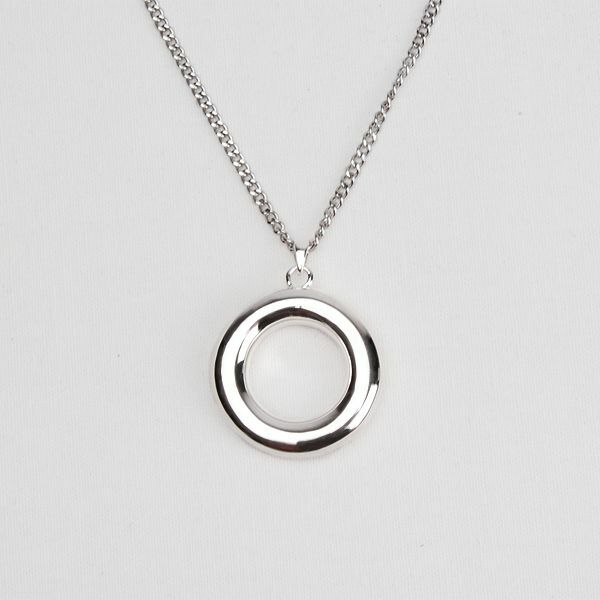 The Circle necklace makes it possible for family members or friends to keep precious and cherished memories close to the heart.